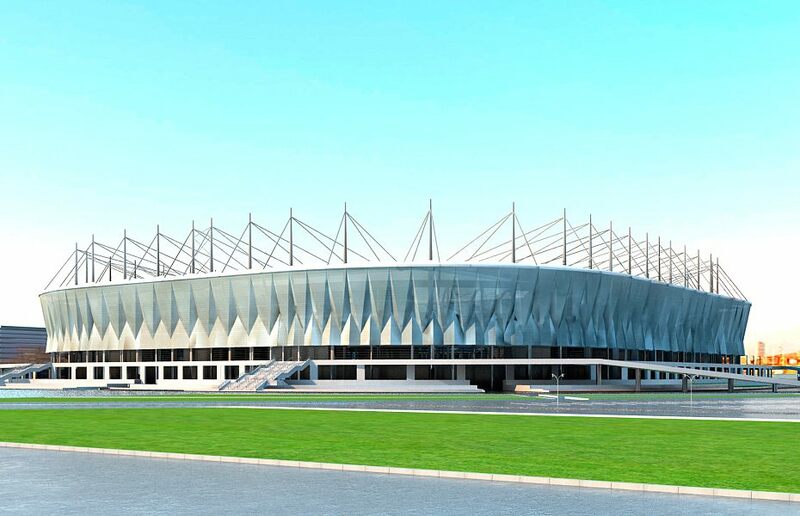 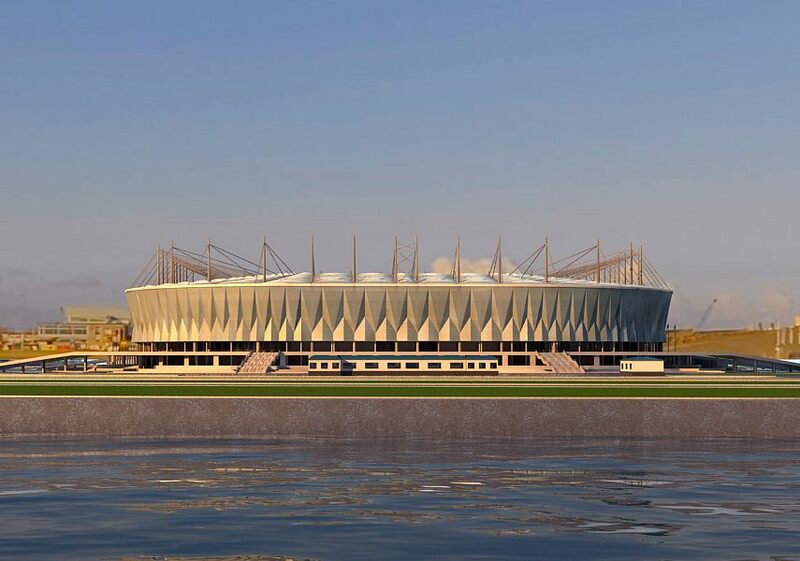 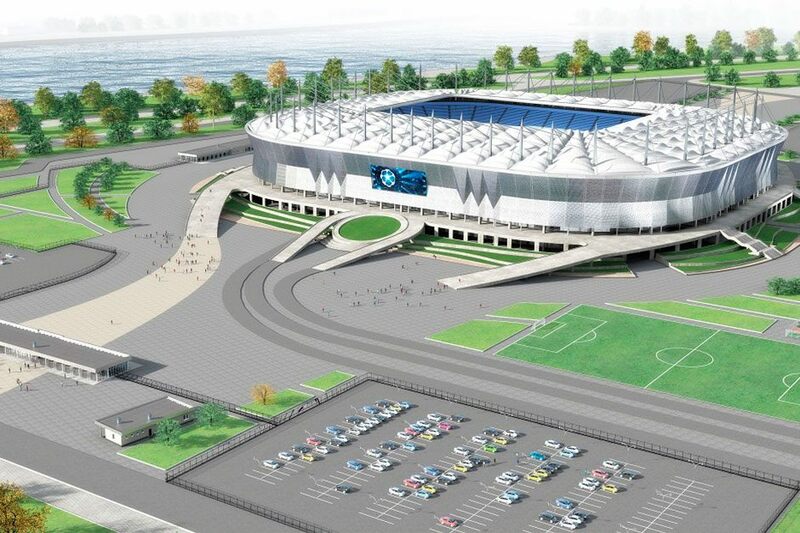 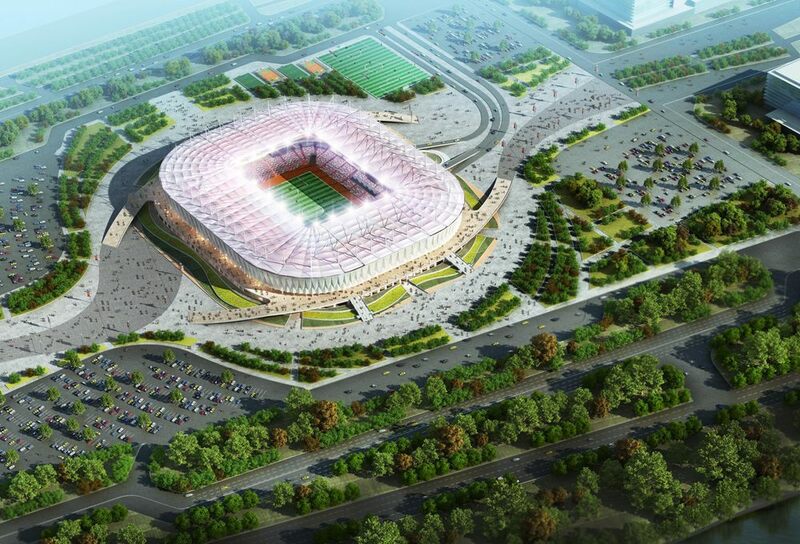 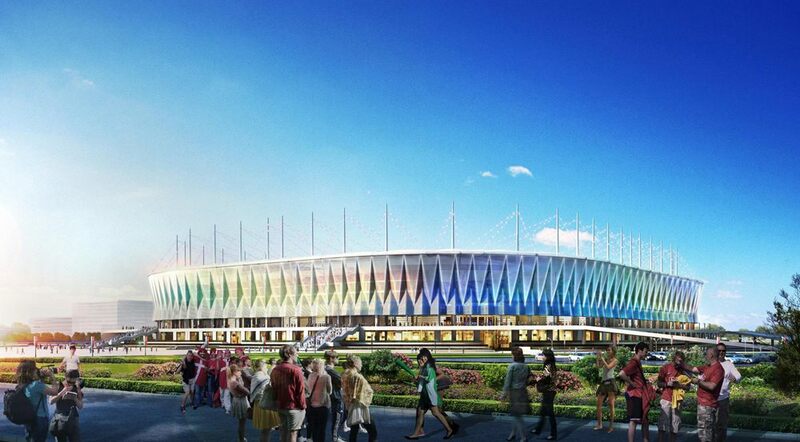 This design is an outcome of dramatic cost-cutting efforts in Rostov, where the initial design has inflated to over 20 billion rubles (with 15 cap set by the federal government). 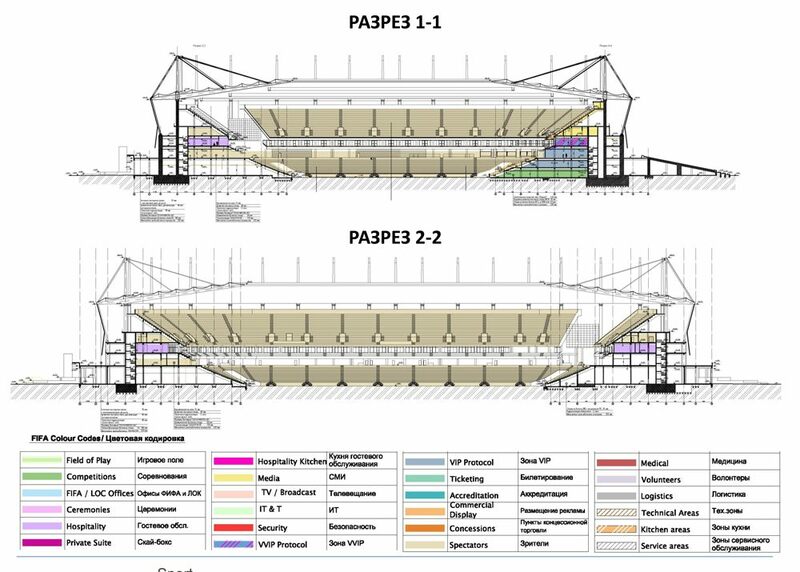 Simplifying the arena to the maximum gave supposedly 3 billion rubles in savings, according to estimates from April 2015. 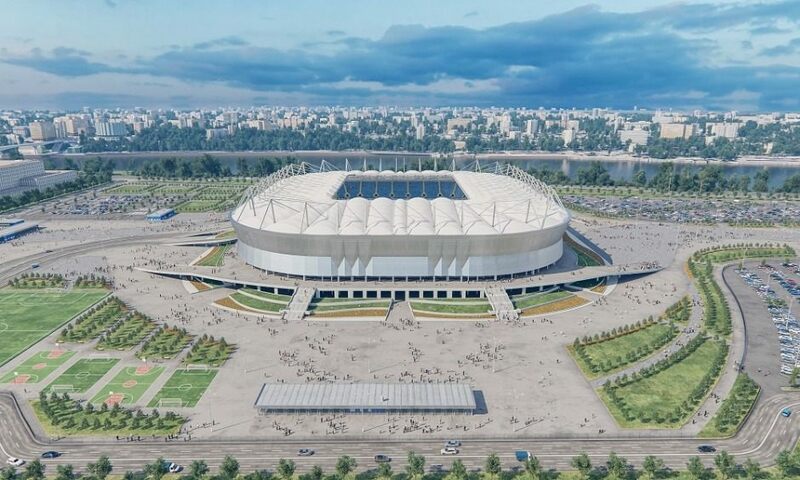 However, as a result of the alterations, nearly all aesthetic values of the initial visions drawn back in 2010-2012 were lost, replaced by a commonly criticized uniform bowl. 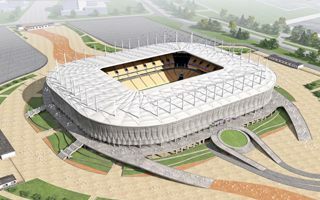 Part of the expected capacity is to be temporary (roughly 5,000 of 43,000-45,000). 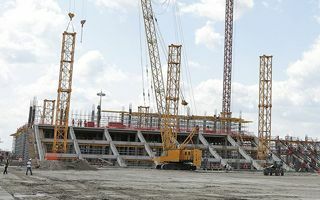 Enabling works on the southern bank of Don River began in 2012, but piling and foundations were left late with the project gaining pace only in 2015. 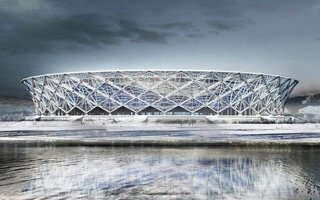 Delivery is expected in 2017. 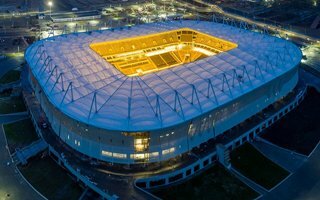 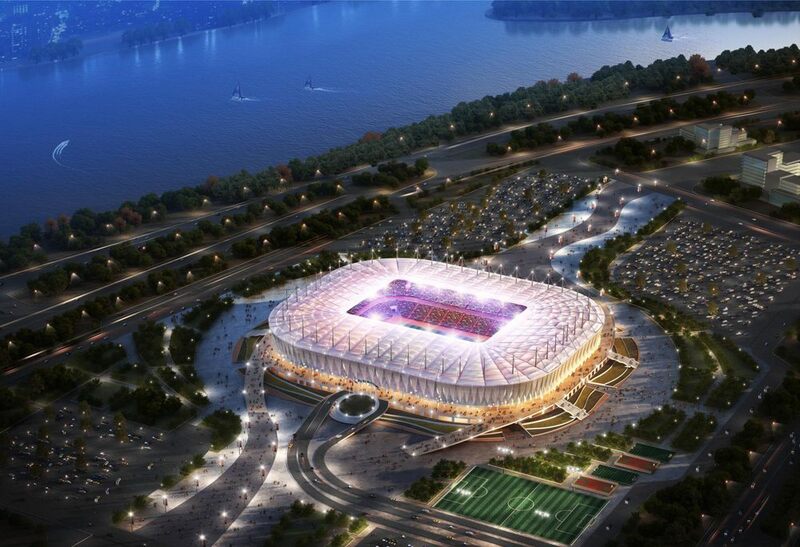 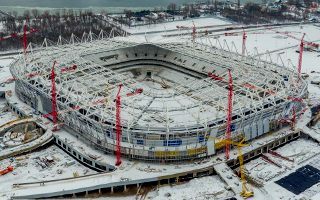 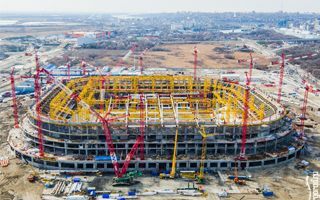 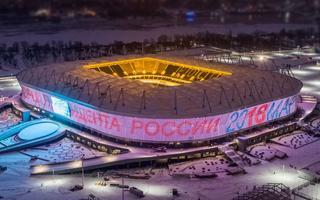 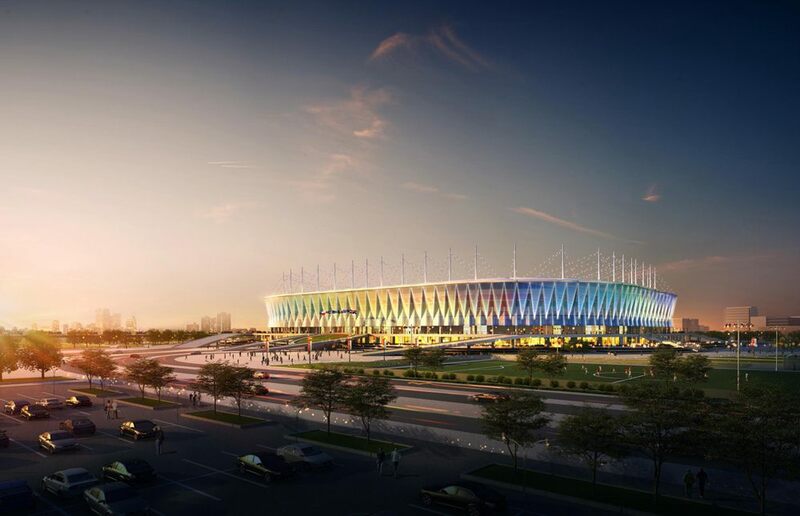 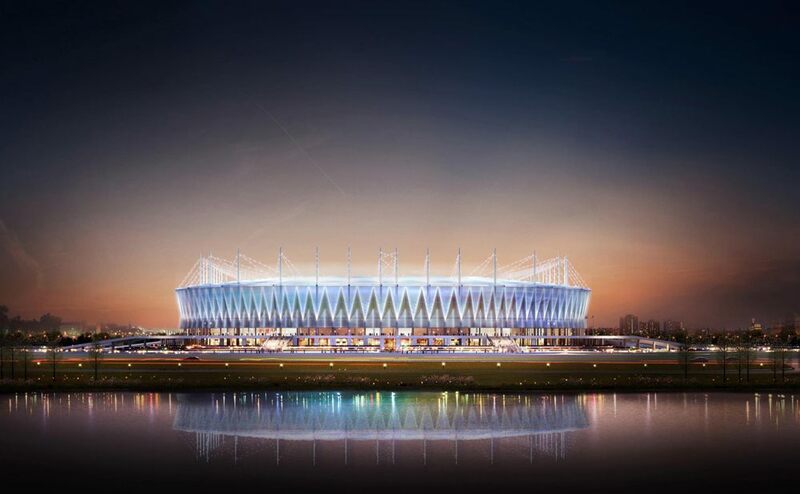 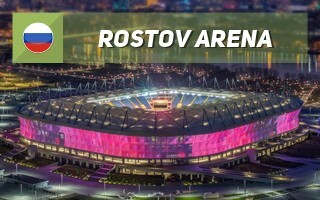 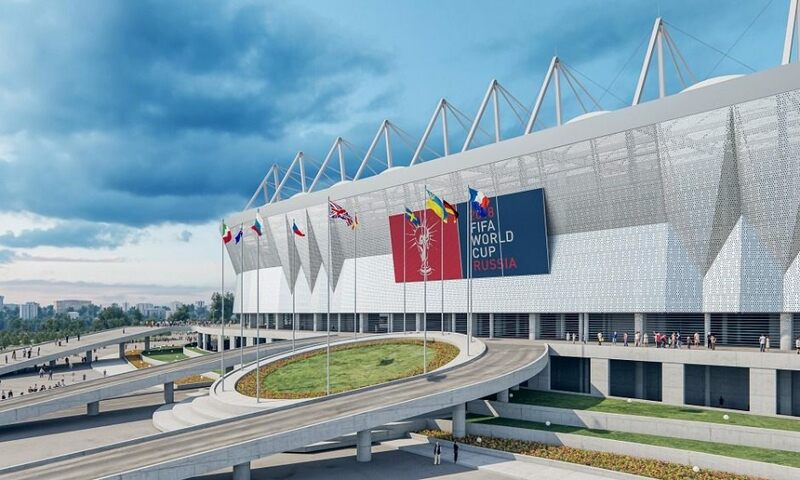 Common working names of the stadium include Rostov Arena, Stadion Rostov or Stadion Levberdon (the latter abbreviates Left Bank of Don). 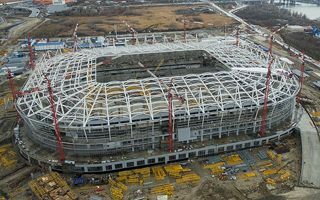 In a month from now the stadium will officially be complete. 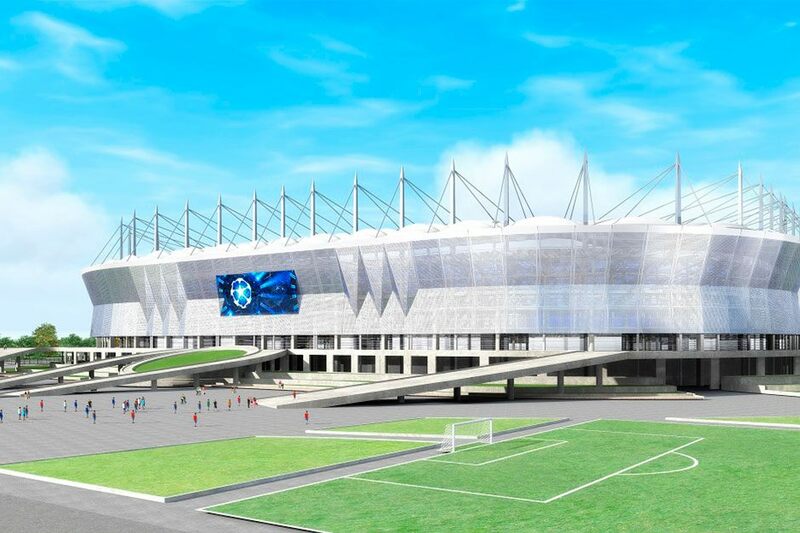 Just in time to host its planned opening game in mid-April. 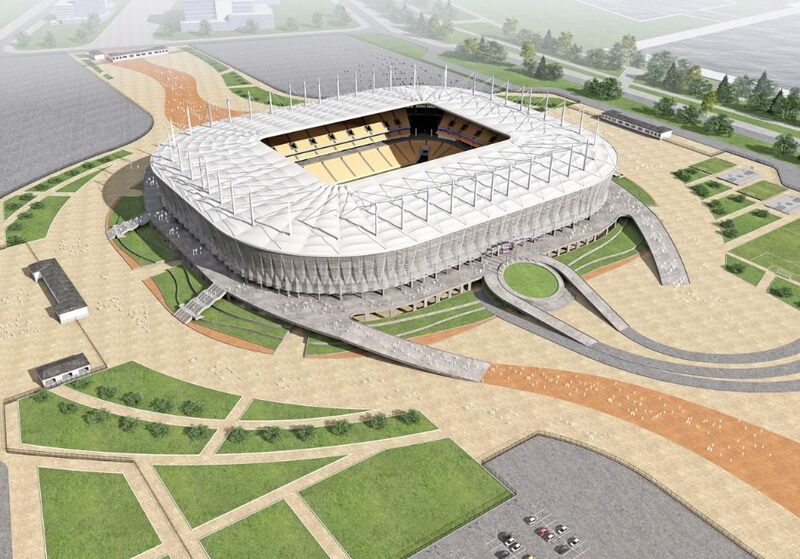 This was confirmed by deputy governor Igor Guskov.